I took this picture of my friend, Martha Lou when I was down in Charleston judging the Iron Mixology segment of the Charleston Wine and Food Festival several years ago. The look on her face when she saw me for the first time since the early 1990’s was worth the price of driving down from NJ to Charleston. It made my day too because I have never enjoyed a plate of fried pork chops so much as when she made them for me. I like my fried pork chops as a sandwich. Two pieces of white bread draws the remainder of the cooking oil off the 1/4 inch thick chop. Curled from the heat and impossibly crunchy against my teeth, the bread is not an afterthought, but integral to the enjoyment of the sizzling hot, and salty pork chop. Martha Lou is a treasure. Not only because of her ebullient personality, but because she is genuine. The real thing. Her sweet tea is her smile. My story of how I met Martha Lou may come as a surprise for some people who only know me from Facebook. It was the mid eighties and I’d been accepted at Johnson/Wales when it was located in Charleston. I was living in Portland, Maine- freezing- in a place I couldn’t afford and working for the Sonesta making baked stuffed lobster was not endearing in any manner. So I moved down to Charleston. And started over. During my teen years I had a craving for Soul Food. I’d trot down to East Orange, NJ and find myself at the Peppermint. This is ham hocks and greens, fried pig ears and slaw on white bread and stews that you could smell by the sweetness of the long cooked onions and tomatoes. After eating there for a couple of years and being introduced to the cook by a mutual friend, I started paying attention to what they were doing back in the kitchen. I thought that if nothing else in life, I could become a cook, since my first career as a television engineer was a bust. Because my parents took me to Europe as a boy, I paid further attention to how people become cooks. They start at the bottom and they learned from the old-timers. 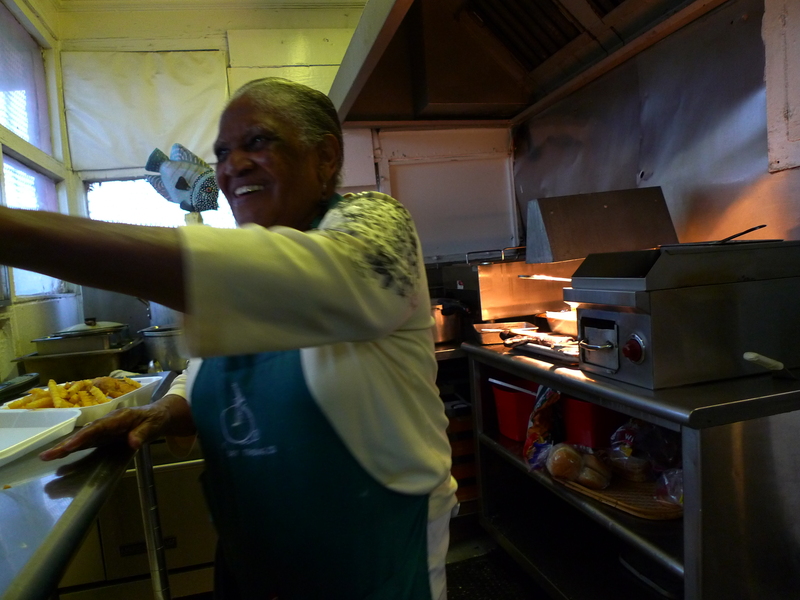 I learned how to cook real Soul food from former Southerners living in East Orange and Morristown, NJ. I grew up on a gentleman’s farm. It belonged to my grandfather and grandmother since the 1940’s. They didn’t need to farm it, but they did with a full staff like in the old days. To this day the farm is still both biodynamic and organic. The farm was the laboratory of my childhood. It came with all the parts intact, just as it was in the 1800’s. It is still in perfect condition as if the dairy cattle just left for the afternoon. After a rain you can still smell the cows from the wood floors. Estelle Ellis was our cook. She was from Northern Georgia. I’m sure she grew up around Soul Food because when she taught me to cook, everything was put up for later in the season. As I said, we didn’t have to rely upon the farm, but so much of my diet came from this place or very close by. New Jersey was much different in the 1960’s. Estelle never wrote anything down, nor did the cooks at the Peppermint- but I paid attention and their lessons stuck. So I get to Martha Lou’s. White guy in a place surrounded by the projects. Trucks and truckers, not what I would call in the 1980’s as a safe neighborhood at night and I introduce myself to Martha Lou. I told her that I was cooking at a local restaurant, the Primerose House on East Bay Street and could I come during the day and watch her cook? Well, after much hemming and hawing she said yes- but only after I had to cook some innards for her blessing to be a life-long friendship. I don’t pretend to be from Charleston, nor would I, but when I saw Martha Lou and took this picture, it was like I was family. Over a plate of pork chops. I just received two bottles of bourbon from Tennessee. Tennessee Bourbon you say? What is that? I thought all whiskey from Tennessee had a black label on it? Well to be perfectly honest with you, so did I. I wasn’t aware that there are Craft Spirits in Kentucky. I know that some are working on getting the laws changed to permit Craft distilling, but I’m really not sure who they are, or if they’ve been successful. But without that tainting my impression of the Craft Spirits industry and who makes what and where, I’d like to introduce you to Barrell Bourbon. Barrell Bourbon is a true luxury product that you can get. Sitting in front of me are two bottles . Batch #001 and Batch #002. I’ll try to be kind to you and your thirst. This isn’t going to be easy. Writing about and tasting fine liquid is like describing Grand Cru wine. Most people cannot even fathom spending hundreds of dollars on a bottle of wine, much less ever given the chance to taste it. Although Barrell Bourbon is not inexpensive, it’s not over 100 dollars per bottle either! When a company sends me a bottle and it just isn’t available to the public, all I can do it hope that it makes you thirsty. I do my best to guide you and help you find a bottle. I actually had someone reach out to me the other day, who read my review on Pappy 20 Year, assuming that I had a secret in with the company to get a bottle (or more) of this highly allocated liquid. But Barrell Bourbon is available. Extremely limited, but you can find it. It’s not even noon and I’ve just taken a healthy slurp of Barrel #001. This is Cask Strength my friends. Rolling in at 121.6 Proof, it is straight out of the barrel. They don’t fine pad filter this whiskey. They only use a light mesh screen to keep the larger chunks from inside the barrel out of your glass. That’s not to say that this bourbon is crystal clear, far from, there is stuff in there. I love spirits with a soul and Barrell Bourbon has it! The bottle – no you don’t taste the bottle, but bear with me… is made of fine perfume grade glass. It’s gorgeous to the touch. Sumptuous and smooth. The cap is wood and real cork. A nice touch in the world of plastic almost everything. The label on each batch is very similar, with the only differences in the writing. My bottle of Batch #001 reads Craft Distilled Barrel Stength. Batch # 001, Bottle # 2384. It goes on to read 121.6 Proof, 60.8 Alc/Vol. Batch #002 reads Bottle # 429, 117.8 Proof, 58.9% Alc/Vol. Batch #001 is made from a Mash bill of 70% corn, 25% rye and 5% malted barley. It’s distilled in Tennessee and aged in Kentucky for five years in freshly charred American oak barrels. It’s bottled at full barrel strength without any artificial colors or additives. Flavors of Earl Grey Tea reveal themselves along with sweet vanilla, dark stone fruits, salted caramels and quince-slow cooked ones at that. The heat is ever present. You cannot escape it, even with a few drops of Branch Water sprinkled over the top to release the flavors and inner soul of this passionate product. The alcohol tingles on the tongue and wraps around your brain. This is serious stuff, worthy of your finest crystal glass. But don’t put anything other than water into it. This would be a waste of fine liquor! Peanut brittle expands across my tongue along with long cooked apricots and white raisins. Pine nuts reveal themselves, enrobed in dark chocolate. The finish is tannic and dry. It goes on and on. Impressive and worthy of your hard earned money. Batch # 002 is also made from a Mash bill of: 70% corn, 25% rye, 5% malted barley. The first thing you perceive is the flavor of a grilled Reuben Sandwich on Rye bread. Toasted rye has a very specific flavor and this is no exception. There is a sharp cinnamon bitterness, almost like a red hot candy that pokes a hole right in the middle of your memory. This is exceptionably memorable bourbon. There really is nothing like it on the market. Stone fruits and caramelized nuts reveal themselves after a few seconds along with deep flavors of Spanish Saddle leather and wet stones. But not wet from a fresh water stream, they are slicked with the flavors of the ocean. The slightly less alcohol *117.8- is a welcome relief after the hit of nearly 122% alcohol in Batch #001. Both versions are memorable. Orange marmalade and lemon curd fill your mind along with toasted rye bread and slabs of freshly smoked meats. There are bursts of fleur de sel (sea salt) and more chocolate, but not the sweet kind, I’m talking 75% bitter. Take little sips and bite your Reuben Sandwich, let me know what you think! This is bourbon on steroids! Definitely not for everyone! No fooling! 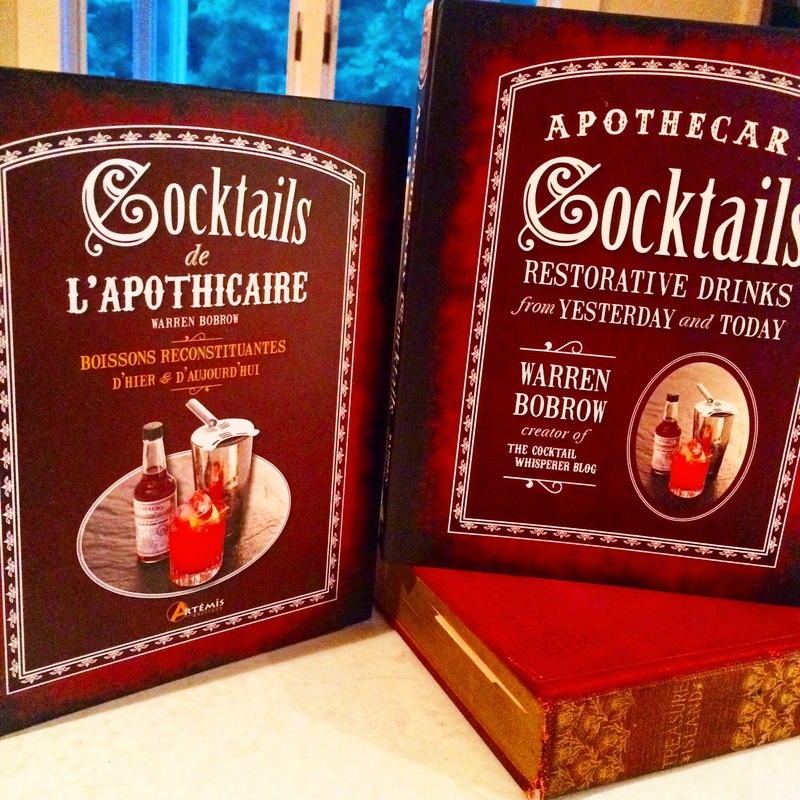 Warren Bobrow,is the widely published author of: Apothecary Cocktails-Restorative Drinks from Yesterday and Today- Fair Winds Press- Beverly, Massachusetts. Apothecary Cocktails was nominated for a Spirited Award, 2014 Tales of the Cocktail. His forthcoming book, Whiskey Cocktails will be released October 2014. Bitters and Shrub Syrup Cocktails follow with publication in spring ’15. 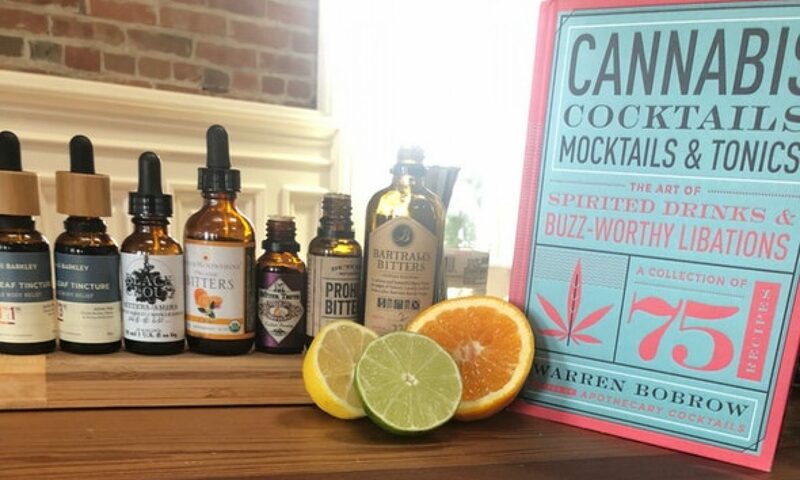 Warren is a master mixologist for several craft liquor companies. Warren is a former, mostly self, trained cook from the pot sink on up. J&W and ACF were thrown in for good luck. Warren was the former owner/co-founder of Olde Charleston Pasta in South Carolina: *Dissolved his business after Hurricane Hugo in 1989* – to a career in private banking, (nearly 20 years; “a very grand mistake”) to this reinvention in 2009 as the Warren he’s finally become. Contrary to what you might think, shrubs are not the large green hedge plants that grow in your backyard. As the “Knights Who Say Ni” well know, those are shrubberies. The real shrubs—strange and delicious concoctions of vinegar and sugar-preserved fruit syrup—are making a comeback. Shrubs had their peak in the United States during the colonial era and were frequently used into the mid-1800s, mostly among the working class. Fruit syrup was an inexpensive, sweet refreshment. People found that drinking certain acidulated liquids like shrubs cured their aching bellies and gave them quick energy, too. The acidic vinegar also helped purify their poisonous drinking water. When fizzy, cheaply produced soda pop hit the scene, shrubs all but disappeared from drinking vernacular. But modern hipster mixologists have rediscovered the magic of shrubs. Now people are starting to use them at home, too. Shrubs can be simply made with only three easy-to-purchase ingredients: sugar, vinegar and fruit, plus water. They have a salty, sealike undertone but are also sweet and tart. The fruit gives a deeply welcome hit of sweet perfume, the raw cane sugar sweetens naturally, and the unmistakable tang of vinegar makes your lips pucker, and few things are more salutary for the gut than naturally fermented beverages. Shrubs really were the original energy and health drink. And now it looks like they’ve gotten their second wind! Here are two of my favorite shrubs, along with three cocktail recipes. Note: These shrubs will remain fresh for 1 to 2 months in the refrigerator. This very basic shrub makes all kinds of refreshing combinations. Although the raspberry shrub starts out vividly red, in the end result, the shrub will have a pale red hue. In a nonreactive bowl, add raspberries and pour sugar over the top. Cover and let sit refrigerated for a few days, stirring and muddling often with a wooden spoon to combine. This mixture should expel lots of liquid. After a few days of gentle fermentation, add vinegar. Let the vinegar combine with the sugar and raspberries for another week refrigerated. Funnel the shrub into sterilized jars. Cover and refrigerate for at least a week more, shaking well before using. The assertive vinegar flavor will fade over time, leaving you a simple syrup that is tangy, sweet and memorable! Tip: A simple way to enjoy this raspberry shrub is with a glass of seltzer water and the addition of a few slivers of lemon zest. Fill a cocktail shaker three-quarters full with ice. Pour rum, shrub and juices over the ice. Cover, cap and shake hard for 15 seconds or until frosty. Add a large ice cube to each of 2 cocktail glasses. Strain cocktail into glasses and serve. Arrange peaches on a large rimmed baking sheet. Sprinkle with ¼ cup of the sugar and roast for 45 minutes or until deeply caramelized. Let cool and transfer to a nonreactive bowl. Cover roasted peaches with remaining 2 cups sugar. Cover and let sit in the refrigerator for several days, stirring often to mash and muddle the peaches and release peach-flavored sugar syrup. After a few days, add the vinegar. It may bubble a bit, which is ideal. Cover and let sit refrigerated for a week, stirring twice daily to release the flavors. Arrange a fine mesh strainer over a nonreactive bowl (one with a spout is handy). Pour the shrub mixture into the strainer and mash with a wooden spoon to extract as much liquid as possible. Funnel into sterilized jars. Cover and refrigerate for at least a week before using. Note: If your shrubs ever become fuzzy, foamy or speak in strange tongues, throw them out immediately! Mold is not your friend! Fill 2 old fashioned glasses with ice and water, and then set aside to chill. Fill a cocktail shaker three-quarters full with ice. Pour shrub and whiskey over the ice. Cover, cap and shake hard for 15 seconds or until frosty. Pour ice water out of the cocktail glasses. Add a couple ice cubes to each glass. Strain the cocktail over the ice and top with seltzer water. Dot each cocktail with bitters and garnish with sprigs of fresh mint. Add thyme and a handful of ice to a mixing glass. Add shrub and lemon zest. Stir 40 times and then strain into a cocktail glass over a large ice cube. Add a splash of seltzer water, a couple drops of bitters and garnish with a sprig of thyme. 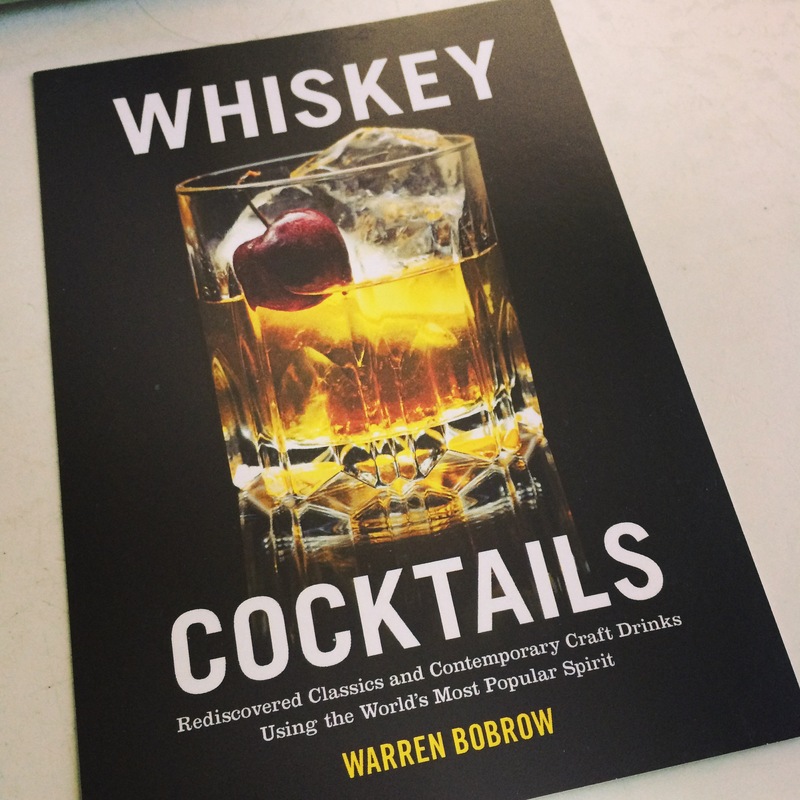 Warren Bobrow is the author of Apothecary Cocktails, and his second book, Whiskey Cocktails will be released in October. In addition to his popular blog, The Cocktail Whisperer, Warren has written for Foodista.com, Voda Magazine, Saveur, Serious Eats, and Edible. You can follow him on Twitter at @WarrenBobrow1. 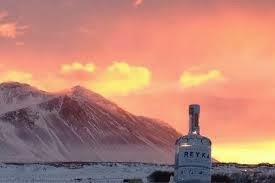 Icelandic craft distilled spirits like Reyka are famous for more than just their provenance. They are famous because of the quality of the water. Is the water from Iceland alcoholic? Nope, I’m sorry to tell you that it isn’t. But it certainly is pure. And unpolluted water is everything when blending the highest quality spirits. The water from Iceland is perhaps the softest in the world because of the utter clarity of the ecosystem. The water for Reyka vodka is drawn from a 4000-year-old volcanic rock “field” that is, according to researchers, uncontaminated by the environmental ills of mankind. Reyka (Ray-kuh) is an ancient Icelandic word for steam or smoke. This would make perfect sense because Iceland is a country filled with volcanoes and smoke. I’ve never been to Iceland, but in college I had a down comforter from Iceland. The down was gathered from puffins. You know, that impossibly cute bird that lives in subzero temperatures without any complaints? The same. But what does a down comforter in college have to do with vodka from Iceland? It means absolutely nothing at all. But I suppose the correlation is more of the quality of the products that I’ve seen coming out of this country. They tend to be of the highest eminence. They are the very best items that money can buy. The same holds true to fact about their spirits. Reyka is one of the best vodkas I’ve ever passed through my lips. It is produced on a pot still in very small batches. There is a gorgeous sweetness that follows each drop, one of caramel and then another of sweet corn still glistening in the morning sunlight. It’s bursting with flavors and I want to drink more. Reyka is bottled in a handsome light blue tinted bottle with a long neck (easy to grab in your hand) with a real cork, instead of synthetic cork. It’s bottled at 80 Proof, 40% ALC/VOL but you’d never think that this vodka could be so smooth at this proof level. The label reads something in Icelandic and we are also told that the vodka is a “Small Batch Vodka, Hand Crafted in Iceland. In smaller writing it goes on to read Traditionally Distilled & Filtered through Ancient Artic Lava Rocks. Lava rocks? Ah, that would make sense. Most of Iceland was formed from the eruption of volcanoes. Pure water is filtered through layer upon layer of the finest filter known to distillers. This makes the water from distillation sing with Terroir. I’ve tasted Icelandic water at the Fancy Food Show and can attest to its softness across the palate. Reyka is distilled from grain and they carefully prepare each batch to emulate the exuberance that the head distiller feels. This is translated into each batch. I don’t usually find myself drinking vodka. It just doesn’t do it for me on a flavor profile, but I am impressed by Reyka Vodka. It’s the anti-Vodka. There is flavor in there as deep as the depths of the volcanoes in Iceland. This vodka is the voyage to the center of the earth of Vodka. Didn’t that take place in Iceland? This week’s cocktail is derived from Voyage to the Center of the Earth. In fact it is named just that. I’ve included that masterfully prepared Fruitations Tangerine Soda and Cocktail Syrup to be combined with Reyka Vodka and a nice dose of Arkansas’s own Mountain Valley Spring (pure sparkling) water- because I think this combination of sweet to crisp is the perfect foil against this gorgeous Icelandic vodka. Bitter Truth makes Creole Bitters that bring this very international cocktail back down to the Caribbean Sea through the luscious Creole Bitters. Tinted the color red- of a late summer sunset. These bitters complement the Reyka Vodka, the Mountain Valley sparkling water, the Fruitations Tangerine Syrup and your own favorite glass.